GXN is a Danish company specialised in developing and implementing green and innovative solutions to architecture and design. GXN’s portfolio spans widely, covering areas such as architecture and design projects as well as research projects and external consultancy. With a special focus on digital work processes and new material solutions, GXN plays an important role in shaping a circular way of designing buildings in the future. 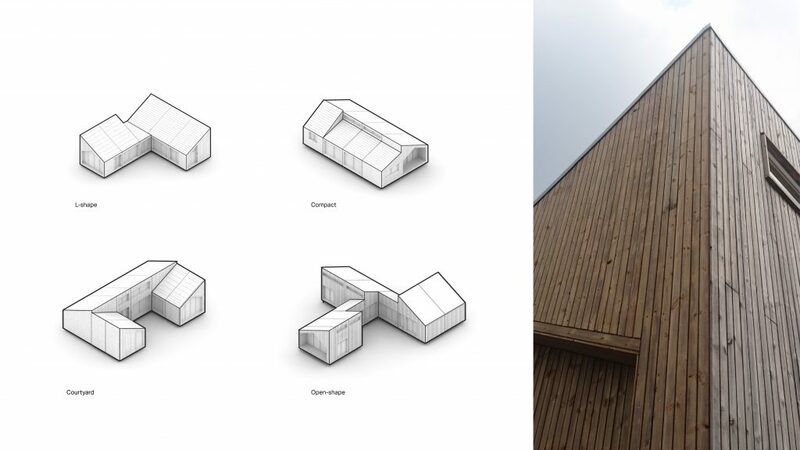 A good example is GXN’s partnership project, The Biologic House, where houses of high quality are built using waste products from the farming industry such as stalks from tomato plants, seaweed and hay. A circular and climate friendly progress is necessary in the construction industry. Today, the industry accounts for one third of all the waste and CO2 created and more than a third of all materials used globally. In collaboration with Danish architectural firm 3XN, contractors MT Højgaard and others, GXN has released a book called ‘Building a Circular Future’. The book explores how the industry can implement circular building practices, taking into consideration the use of resources and the effect that the building has on the environment. This involves an approach to the design and construction of buildings, where waste is transformed into a positive business, and where the design itself ensures a building that is faster to construct, easier to maintain and possible to deconstruct into reusable materials. With GXN’s help, 3XN implemented circular principles and strategies into their design and construction of the Quay Quarter Tower in Sydney. The new 200-metre high skyscraper was constructed by re-using and up-cycling an existing building on the property. The circular approach made it possible for Quay Quarter Tower to keep 60 per cent of the structural skeleton and 98 per cent of the structural walls from the previous building. The result was a significant reduction in time spent on construction, resources and costs. GXN’s focus is to take the negative aspects of a building and turn them into a positive result. For example by creating buildings that produce more green energy than they consume and specifying materials that either are or can be recycled. With their Green Design Strategy, GXN creates better environments for people, increases productivity, reduces absence due to illness and provides a healthier workplace through the choice of materials and design. In order to promote circular architecture in the future, knowledge and competences within sustainable and circular construction and architecture must be incorporated early in the design and developing phases. The sooner the circular aspects are integrated, the better. However, companies like GXN are not always part of the project from these early stages – stages where the overall use of resources are decided, following the buildings’ design and construction. This has to be changed. The market valuation and access to secondary resources today do not support that such resources should replace virgin resources when it comes to construction and architecture. This is due to the large and stable supply of virgin resources and because the costs of handling secondary resources are significantly higher compared to virgin resources. Moreover, the administrative costs associated with using secondary resources across sectors and between countries prevent an effective allocation of secondary resources.